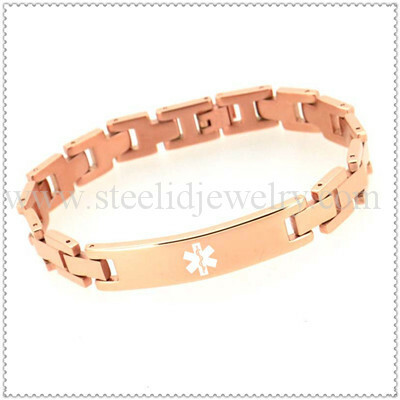 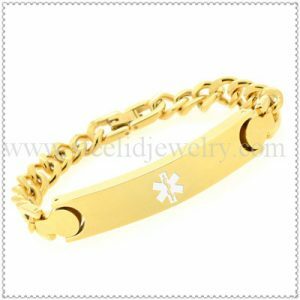 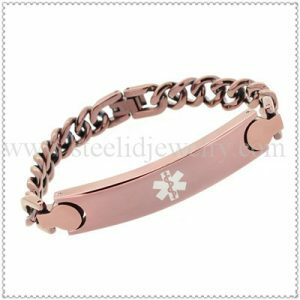 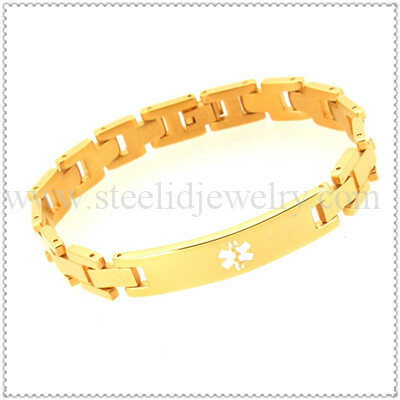 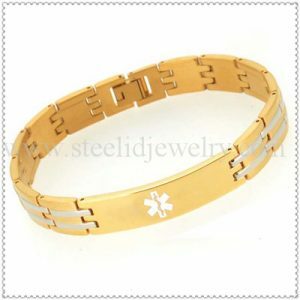 12mm steel links with 51mm ID plate, 7~8.5″ length, can be customized, gold, rose-gold, black, silver with black 4 colors for choose. 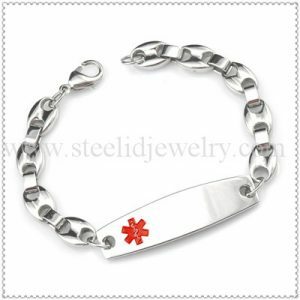 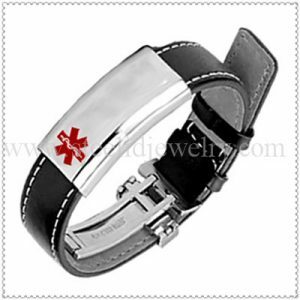 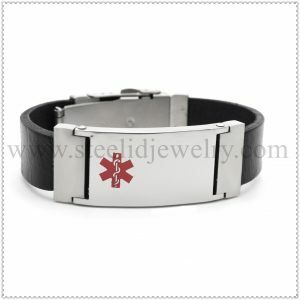 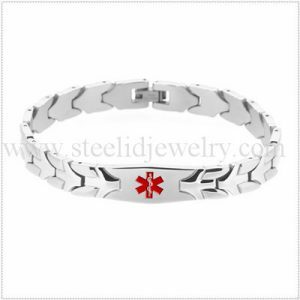 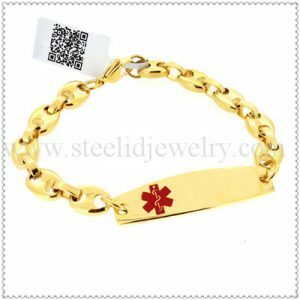 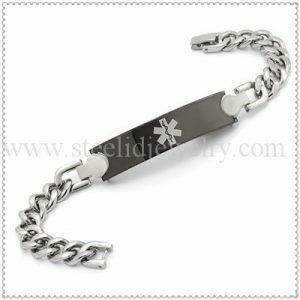 Cool Charismatic black plate with a laser ID symbol of the systemic use of stainless steel, providing a standard 8.5 “length, can be adjusted. 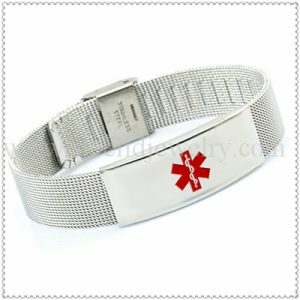 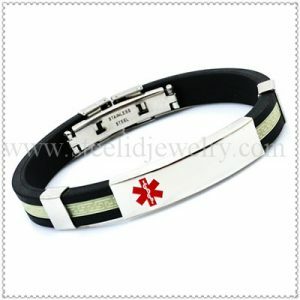 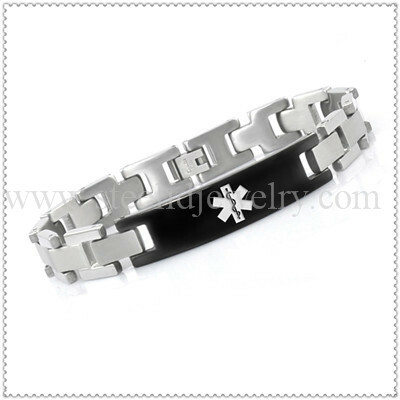 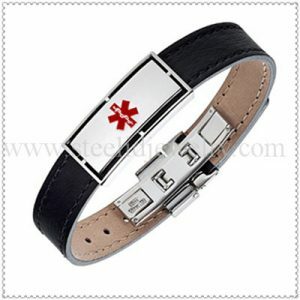 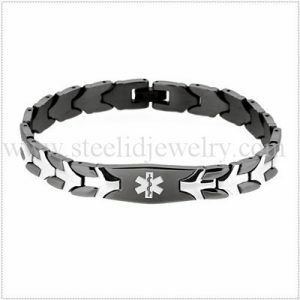 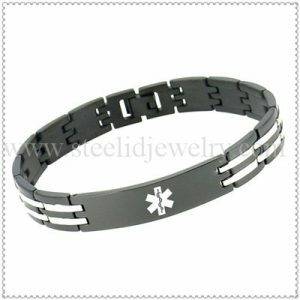 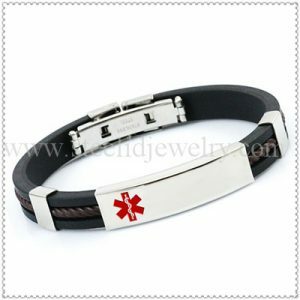 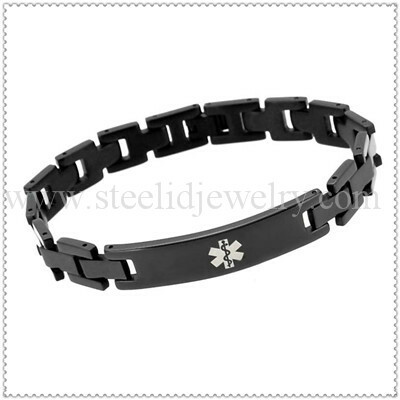 Stylish, durable titanium, PVD black color, 1 year will not fade color.